If you would like to make a donation to our Parish, kindly scroll down to the bottom of this page and click on the DONATE button. 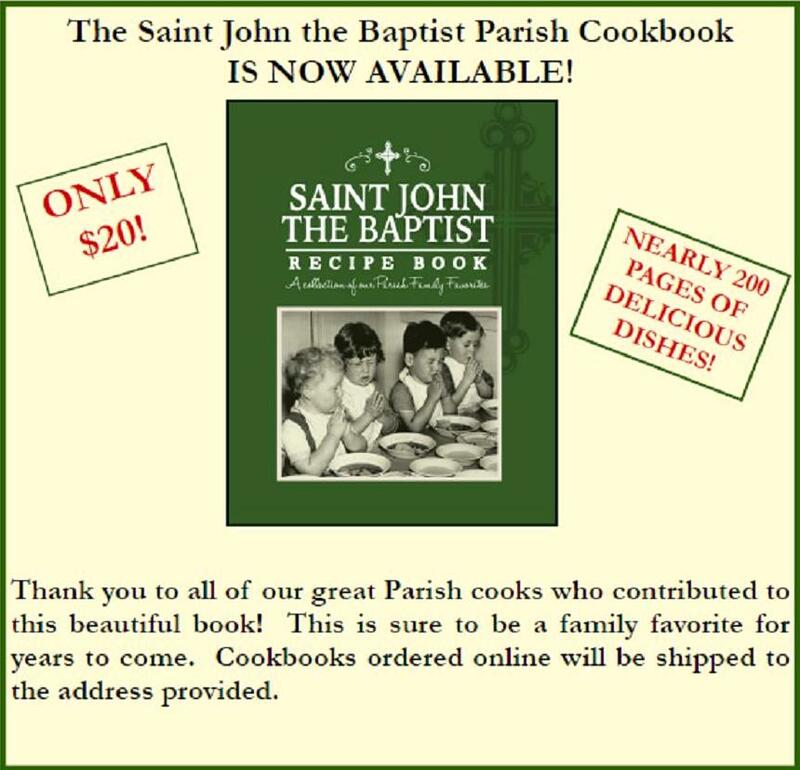 Please enter your mailing address and any notes for the donation in the comments section of the order so that we may acknowledge your donation. Thank you! 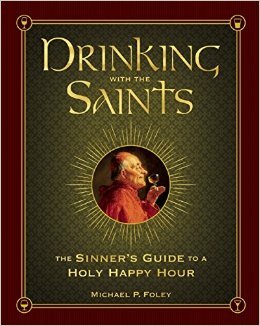 We are happy to offer autographed copies of Drinking With the Saints for only $25, while supplies last! 95% Polyester, 5% Spandex. Hemmed bottom and sleeves on short-sleeved T-shirt. 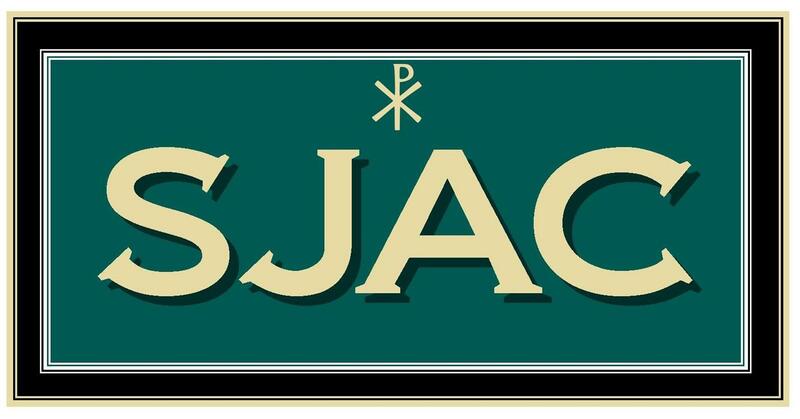 SJAC logo on front. On back the Chi Rho is featured with the Latin "In Hoc Signo Vinces". Adult sizes S, M, L, XL and XXL available. Youth sizes L and XL available. 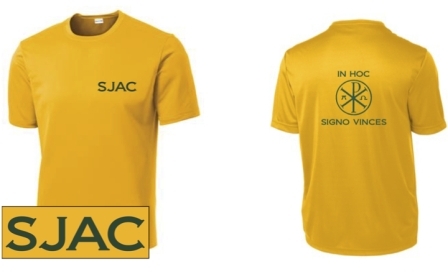 Limited supplies remain of the 2014 SJAC Shirt (Green) and the 2015 SJAC Shirt (Gold)! ALL PRICES INCLUDE FREE DOMESTIC SHIPPING!